I thought I would introduce a 3 part sequel post. A little different than normal, but being partially makeup and fashion related, I suppose it's acceptable. Isn't it? So recently, I have been on an interview to work for a relatively newish, but now high profile makeup brand. I had a really good interview despite having the normal nerves and anxiety before, but I thought it would be a really good idea to write a post about my interview as it may help some of you with upcoming interviews in the beauty/makeup industry, or any other interview in general! There were three different parts to my interview, and I will talk about each section in 3 parts. I'm sure you can guess each section but if not I will be covering sensible makeup choices, professional attire and the interview process and questions I was asked. 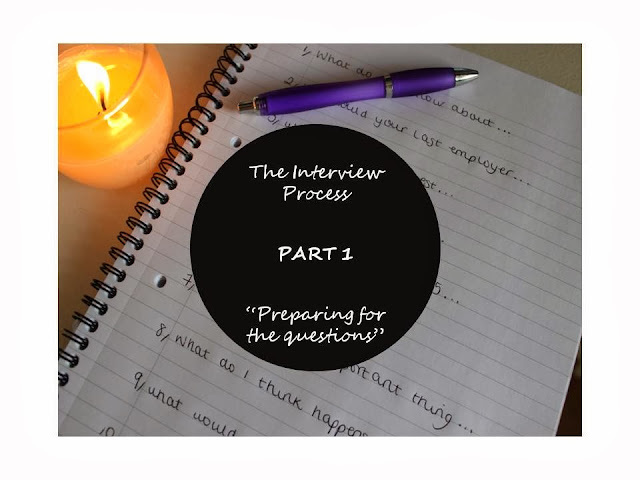 Lets kick of part 1 which will cover both interviews, what was required of me and what questions I was asked! The audition process was for the employer to recognise how I approach people, how I sell products/offers/makeup consultations, and how confident I was in this role. I knew that the only way I was going to succeed in this audition was to be confident in myself, find that self belief and just go for it. I'm not the most confident of people! I finally managed to get someone to come back to the counter and they ended up going for a full on makeover and I loved it! I was immediately asked after my audition to come back for a second interview. So there, it just proves that changing your mind set, and believing in yourself can really affect the way you behave and react in different situations. It isn't always easy but I proved to myself that I can do anything I put my mind to, and so can you! 2- How would your last employer describe you? 3- What are my biggest weakeness'? 4- Give me an example of your proudest moment whilst undertaking a customer service role? 6- How did I find the audition? 7- Whats the most important thing about the company? 8- What do I think happens on a day to day basis in this role? 9- Who is my role model/who do I look up to? 10- Give an example of when I have delivered great customer service. 11- Tell me about yourself. 12- What do you do in your spare time? What are your hobbies/interests? 14- What is your flexibility? 15- Why the makeup industry? 16- What experience do I have in makeup? (Here, he identified on my CV I had noted down that I attended a makeup course with Louise Young and became a qualified makeup application artist) He then asked me how I found this course, what I gained from it, what I enjoyed about it etc. 17- Tell me about your style. How would you explain your style? 18- What would you do if you had an unhappy client or a complaint? I am pretty sure that I have covered every question I was asked, but you can never be sure! The interviewer also referred to experiences/qualifications on my CV and asked questions about those. So to finish off this post, remember, be confident, if you don't know an answer, that's ok, just be truthful. It shows that you are confident and can hold your own which is really important. I do hope this post has come in helpful to you and that you have gained something from it! Don't forget to keep your eyes peeled for part 2! It's a fashion one! Happy Halloween week!